My name is Chiaki Masuya. I graduated from the Ohu University of DDS Dentistry in 2003 and was licensed to practice in the same year. I acquired Orthodontics skills during 3 years of residency in the United States. My mission is to become your family dentist, taking care of all your dental needs. I understand the difficulty of living in a foreign country, especially when you or your family have a health problem and face a language barrier. Feel free to visit or call my clinic and I will be happy to assist you. We provide conprehensive dental care to you and your family including, but not limited to cavity treatment, tooth brushing instructions and special Orthodontic treatment. We carry out thorough sterilazation with specialized equipment. 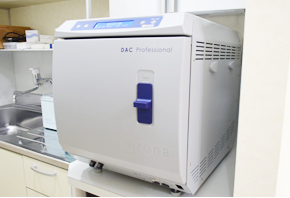 Our clinic is provided with specialized equipment known as "DAC PROFESSIONAL". This device is able to sterilize all types of bacteria and viruses likely to be in contact with dental instruments. This offers the highest level of safety and treatment. Please feel at ease in having your treatment done at our clinic. Grinding teeth and dental prosthesis produces a dust that contains bacteria and viruses. This dust can cause environmental pollution in the clinic. 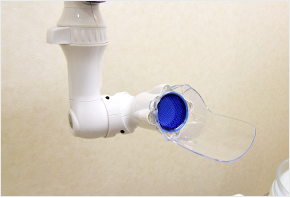 Our clinic is provided an extra-oral vacuum device which will effectively achieve approximately 80% reduction of these particles. 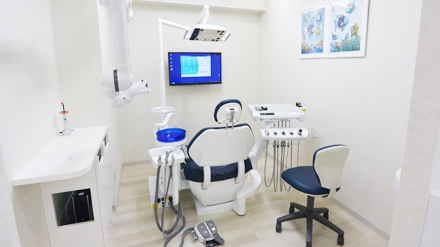 We explain in detail your treatment procedure, aided by TV monitors for each dental chair. We won't enforce any treatment and ensure the best treatment according to your personal needs. It's not only adults who have dental issues. We can provide Orthodontic care to patients of all ages, including children who have yet to lose their all baby teeth. The doctor can explain to you the benefits of Orthodontic care for younger patients. 10 minutes walk from Komaba-Todaimae Station West gate. 10 minutes bus (#51 or 52) ride from Shibuya Station and No.30 or 36 Tokyu Bus Terminal. Around ¥1000 for taxi ride from Shibuya or Nakameguro Station. Free parking area for bicycles and there are some parking lots near the clinic for car. 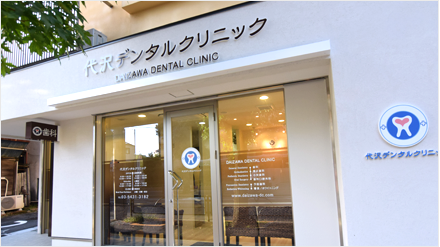 （C）2014 Daizawa Dental Clinic All Rights Reserved.